"Besides bringing more dry and hot air, climate change—by elevating evaporation rates and drought prevalence—also creates more flammable ecosystems," noted Christopher Williams, director of environmental sciences at Clark University in Massachusetts. Dry weather means more dead trees, shrubs and grass—and more fuel for the fire. In the northern hemisphere's temperate zone, the fire season was historically short—July and August, in most places. In California, which only recently emerged from a five-year drought, some experts say there's no longer a season at all—fires can happen year-round. Normal weather patterns over North America and Eurasia depend heavily on the powerful, high-altitude air currents—produced by the contrast between polar and equatorial temperatures—known as the jet stream. 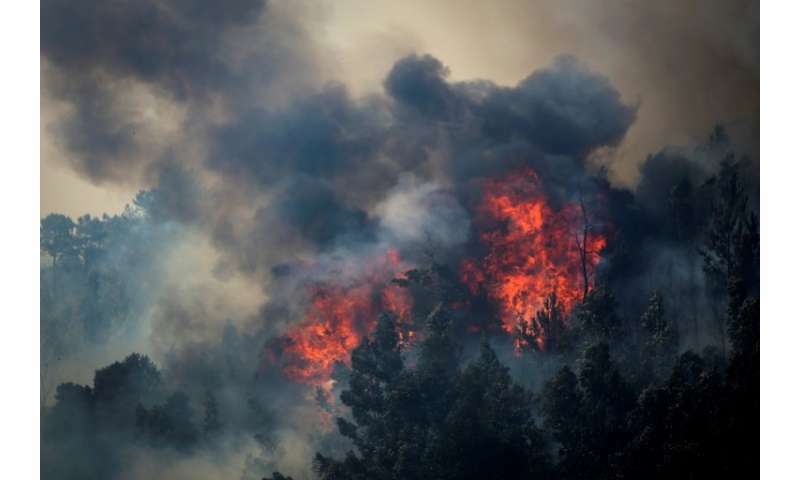 "If the fire gets too intense—and we are seeing this in California right now, and saw it in Greece a few weeks ago—there is no direct measure you can take to stop it," said Flannigan. With rising temperatures, beetles have moved northward into Canada's boreal forests, wreaking havoc—and killing trees—along the way.